Elizabeth "Betsy" Mortensen is an accomplished and passionate conservationist. Growing up in rural New England as the daughter of a music teacher and an avid outdoorsman, Sustain is a natural melding of two passions she has had all of her life. Betsy earned an M.Phil. in Environment, Society and Development at Cambridge, where she did her thesis in collaboration with BirdLife International, focusing on the role of local conservation groups in biodiversity conservation. She holds a B.S. in Fish, Wildlife, and Conservation Biology from Colorado State University. From 2013-2018, she was part of the American Conservation Projects (ACP) team, where she provided research and organizational support for Simon Roosevelt. ACP, founded by Mr. Roosevelt and Allison Rockefeller, supports multiple conservation projects including the Conservation Roundtable, National Audubon Society's Women in Conservation Program, and an initiative to educate new American citizens about our national parks and public lands. Prior to co-founding Sustain, Betsy conducted avian field studies for the Connecticut Department of Energy and Environmental Protection. She also volunteered on chimpanzee surveys in Tanzania for the Ugalla Primate Project in partnership with the Nature Conservancy. Harrison Goodale is a professional bass player, composer and music educator who was raised on a small farm in rural Connecticut. Harrison is a graduate of the University of Connecticut School of Music and the NEAG School of Education, holding a B.S. in Education and a B.A. in Music. While in college, he was Principle Bass of the University Symphony Orchestra and the University Chamber Orchestra for three years and participated in many primier ensembles including: The University Wind Ensemble, NOVA Musica Ensemble, Small Jazz Ensembles, Rosa Quintet. Notably in 2011, he performed with the UCONN Collegium Musicum on bass viola da gamba on a week tour in Quito, Equador performing on international television and for the Ecuadorian Congress. After graduating, Harrison joined the folk-rock group Parsonsfield. The band has garnered international and national accolades in its five year existence. They have performed in established venues across the U.S. and Canada and have released four albums with the record label, Signature Sounds. In 2015, Parsonsfield was chosen to write and perform music on stage for the play, The Heart of Robin Hood. It has opened in Boston, Winnipeg, and Toronto to enthusiastic reviews and audiences. You might have also heard the band in The Walking Dead in 2016. Ricky Hernandez is a corporate and entertainment attorney at Bradley Arant Boult Cummings, LLP in Nashville, TN where he counsels clients on a variety of business formation, transactional, and operational matters. He also has experience in intellectual property matters such as trademarks and copyrights. Ricky graduated from Vanderbilt University Law School, where he completed the Business Law Certificate and was senior development editor for the Vanderbilt Journal of Entertainment and Technology Law. His note, titled A Fair Stream: Recommendations for the Future of Fair Trade Music, was published in the Spring 2017 edition of the journal. In addition, Ricky gained experience working with a diverse group of individuals and businesses through his time volunteering at Vanderbilt’s IP and the Arts Clinic, as well as Nashville’s Volunteer Lawyers and Professionals in the Arts. Prior to attending law school, Ricky was a Certified Public Accountant working in the Private Company Services division of PwC in Boston, MA. Music has always been a passion that Ricky has sought to foster. As an undergrad, he was President of Husky Records, a student-run record label on campus that looked to develop and assist student musicians. After graduating, he was recruited to be the general manager of the folk-rock band Poor Old Shine (currently known as Parsonsfield). To this day, Ricky is confident that working with the members of the band has been one of the best experiences of his life. 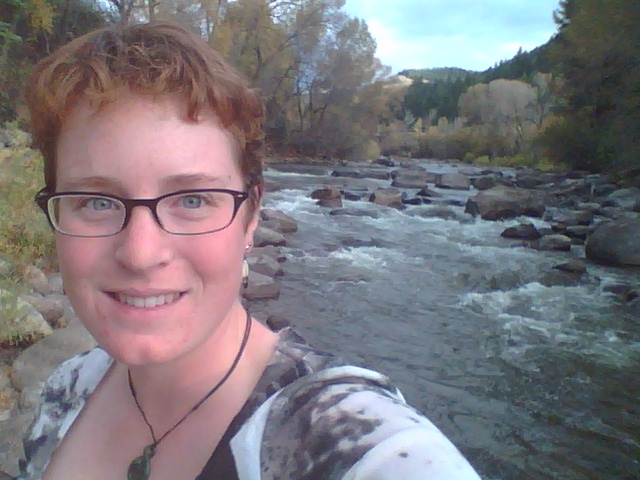 After growing up near Washington, DC, Nicole Reese moved to Colorado to follow her dreams as an avid conservationist. In pursuit of this passion for collaboration in conservation, Nicole has founded the nonprofit organization, Crowd Conservation, which provides facilitation services for collaborative projects. She is also the Network Coordinator for Fire Adapted Colorado, working to build a comprehensive network of fire practitioners across the state of Colorado to support community resilience to wildfires. During her research to earn an M.S. in Conservation Leadership from Colorado State University, Nicole studied stakeholder engagement and collaborative conservation efforts to recover an endangered dolphin species in New Zealand. With a B.S. in Wildlife Biology, Nicole has enjoyed hands-on research experiences varying from prairie dogs to mountain lions, assisted in field experiments in rangeland ecology and global climate change, and communicated conservation issues to diverse audiences as an environmental educator. In 2016, Nicole became a trained facilitator through the International Association for Public Participation to build her skill sets and expand her impact with conservation projects. While Nicole enjoys hiking, backpacking, trail running, and stand up paddle boarding, she loves sharing her passion for nature with others, and hopes to inspire actions that make our world a brighter, greener place. Maggie Comstock is an environmental policy and sustainability professional based in Washington, D.C. Maggie works at Conservation International (CI) as the Director of Climate Policy. In this role, she leads CI’s work to support nature-based solutions to climate mitigation and adaptation within global policy frameworks. Maggie previously worked on Climate and Biodiversity Finance Policy at CI, including managing the organization’s overall biodiversity policy engagement with particular focus to matters related to finance. Prior to joining CI, Maggie worked as a Policy Analyst at the U.S. Green Building Council focusing on international green building policy, sustainable cities and global market development. Additionally, she has extensive experience working on environmental and climate policy both domestically and abroad through her time working in the U.S. Senate, House of Representatives, UK Parliament, and Irish Parliament. Maggie holds a master’s degree in Environment, Society and Development from the University of Cambridge, where she researched international carbon markets and their implications for developing countries. Susan Cistone is a music industry professional who launched her career producing concerts for the University of Florida’s 40,000+ students, while she completed a Bachelor’s degree in Business Administration. During this time period, she also became a contributing writer for global dance music magazine, Mixmag. In London, she worked for one of Europe’s leading talent agencies, MPI Ltd. (now CODA Agency), with a roster of artists on labels like Ninja Tune, Wall of Sound, Skint, Pagan Records, and Full Cycle – including Mercury Prize winner Roni Size Reprazent. In New York, she’s served as a Global Marketing and Events Manager at BMG Entertainment / Bertelsmann AG, and as Artist Management for Grammy award winners at Def Mix Productions, while earning a Master’s degree in Music Business at New York University. As a Management Associate at Sony Music Entertainment, Susan was responsible for campaigns for emerging and superstar artists at Columbia Records Publicity and Media, RCA/JIVE International, and Commercial Music Group Strategic Marketing and Brand Partnerships. She started Transmission MKTG LLC to serve clients across the marketing, public relations, and event production fields. Susan is also part of the core team at Reynard Productions LLC and Avant Gardner, a multi-use event space in Brooklyn. Samantha Duk lives in Somerville, Massachusetts. She graduated from the University of Connecticut with a degree in Music (violin). While at UCONN she explored a variety of coursework, from early music to accounting, and her senior year had the opportunity to intern with the Metropolitan Opera in a variety of departments, including their development office. Following graduation she moved to the Boston area and is now a Development Associate in the Office of Individual Giving at the Massachusetts Institute of Technology. Growing up on a small farm in rural Connecticut inspired her early on to support local farmers and businesses and to lead a low carbon footprint lifestyle. Her claims to fame are playing a few early shows with Parsonsfield (under their prior name) and appearing in a widely televised UCONN commercial- otherwise she enjoys life in Somerville with her husband and cat, working to make her corner of the world a better place through inspiring generous giving and giving gratefully. Allison Whipple Rockefeller is deeply committed to the communication of American heritage, history, and values, being especially interested in the role of nature and our natural resources in shaping American history and the American character. She is the Founder of National Audubon’s "Women In Conservation", a program building a nationwide community of women in the environment sharing knowledge, fostering relationships, building political influence, celebrating achievements and assisting girls and young women to explore the world of conservation. Allison is Founding Chair of the centerpiece of Audubon's Women in Conservation, its prestigious Rachel Carson Award, one of the most coveted national awards for American women working in the environment. Simon Roosevelt is an avid hunter and conservationist whose interests have involved him in a wide variety of conservation and environmental projects in North America, South America and Africa. In the United States, he is the founder of the Conservation Roundtable, a periodic gathering of the heads of leading conservation organizations representing hunters and anglers, land trusts, and environmentalists, to discuss and take action on shared conservation issues. Previously, he organized the Catalyst Dinner, a conference in New York City bringing together world leaders in climate change policy and science with a group of the largest US hedge fund managers. He also was a co-founder of the Friends of the Elkhorn Ranch, a private initiative that successfully organized the purchase and transfer of the last remaining parcel of unprotected private land ranched by Theodore Roosevelt in the Badlands of North Dakota to the US Forest Service's Dakota Prairie Grasslands, where it remains in active grazing use. With colleague Allison Whipple Rockefeller, Simon began American Conservation Projects, to create and pursue ideas that advance the American values of history and landscape. Among their projects is an effort to add, for the first time, study information and a question about citizen ownership of US national parks and public lands on the U.S. Naturalization Test. Simon is a a member of the Boone & Crockett Club, and the Camp Fire Club of America; he is a member of the President’s Advisory Council of the National Wildlife Federation; and he is a trustee of the Scenic Hudson Land Trust and Scenic Hudson, Inc. He also is Commissioner of the New York State Office of Parks, Recreation and Historic Preservation for the New York City Region.